Joyent hosted a node.js community event at our San Francisco offices the other evening, in which Ryan Dahl announced a new version of node.js, and Brendan Gregg showed some amazing stuff you can do with Joyent Cloud Analytics on your no.de hosted site to understand what’s going on in your node.js app. For more details on cloud analytics, see Dave’s and Robert’s blogs, and two more hours of video with Bryan and Brendan demoing. Technical difficulties with UStream meant I didn’t have a stream recorded to their servers that night, technical difficulties with everything else meant I couldn’t get these rough cuts hosted anywhere til now. This is exactly what you would have seen on the stream (and more), including the bad camera angle which was forced by… oh never mind. A better view of cloud analytics will be forthcoming. This entry was posted in portfolio and tagged Brendan Gregg, cloud analytics, community, DTrace, Illumos, Joyent, node.js, performance, Ryan Dahl, SmartOS, video, what I do on March 3, 2011 by Deirdre Straughan. As I told him, it’s been both. Between health problems and a job/company that were (increasingly clearly) not a good fit for me, I was not in a happy place for quite a while. I returned to work at Oracle in early November after ~5 weeks’ medical leave, but desperately wanted a change. That change came on December 1st: I began a new job with Joyent, a company which several Sun luminaries (far more luminous than myself) had joined over the previous months. I’m not an engineer, but when big names in Solaris engineering such as Bryan Cantrill, Jerry Jelinek , and Brendan Gregg all head to the same company, it’s time to take a look at what that company might be up to. There were other companies worth looking at for the same reason (and I did), but Joyent won out. What Joyent does is cloud computing, a buzzword that I suspect even the non-technies among my readers have heard by now. Wikipedia describes it thus: “Cloud computing is Internet-based computing, whereby shared servers provide resources, software, and data to computers and other devices on demand, as with the electricity grid. Cloud computing is a natural evolution of the widespread adoption of virtualization, Service-oriented architecture and utility computing“. Joyent has been offering cloud computing as a service for over five years: some of your favorite Facebook games run on Joyent infrastructure. But recently Joyent has begun partnering with companies such as Dell to sell our cloud software with their hardware to third parties who want to run data centers and/or sell their own cloud services. Where do I fit into this? As the new Director of Technical Education, it’s my job to help customers at every level – from end users to service providers to systems integrator partners – learn how to use our stuff. Which means getting highly technical information out of my colleagues and putting it into a format that can be shared with other people: a familiar theme in my working life. I’ll still be using video, but in this job I will also be designing and likely even personally delivering technical courses, in the classroom as well as via video. This is a return to the early days of my high-tech career, when I designed and taught custom courses in desktop publishing, then installed and trained people to use desktop publishing systems for the World Bank in Cameroon and Tanzania. 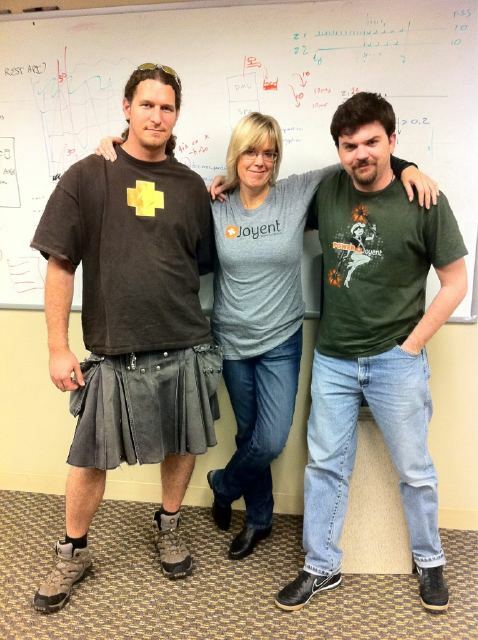 As a working environment, Joyent is as different from Oracle as you can get. It’s grown from 22 to 100 employees this year (thanks to some investment, in particular from Intel) and there’s still way too much work for everyone to do. The attitude is very much that things need to get done, and “it’s better to seek forgiveness than ask permission” – which, as old Sun hands know, was once Sun head Scott McNealy‘s mantra. Those who have worked with me or observed me working know that I thrive in this kind of environment, though I’m having to unlearn some Oracle conditioning (amazing what a company can do to you in only nine months). I was sad to leave my Sun colleagues (those who hadn’t already left themselves), though of course I was rejoining some. I spent Thanksgiving weekend editing The Faces of Sun,Â a video tribute to some (though nowhere near all) of the amazing people I got to work with and film at Sun. Warmest wishes for whatever holiday you celebrate and for a wonderful 2011! see also: Illumos in the Cloud: What is Joyent Up to? 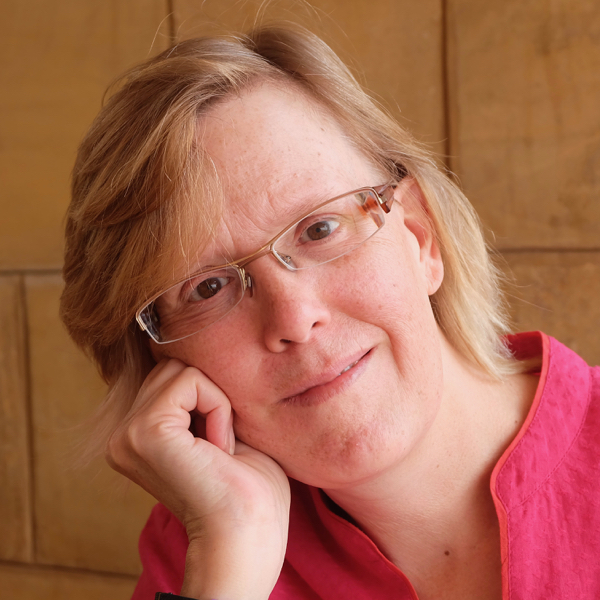 This entry was posted in what I do and tagged Ben Rockwood, Brendan Gregg, Illumos, Joyent, SmartOS, what I do on December 26, 2010 by Deirdre Straughan. I’ve been meaning for a long time to make a video tribute to the amazing people of Sun Microsystems. It has been my honor and privilege to work with some of the finest minds in this industry (or any industry), many of whom I also got to film at Sun conferences and other events worldwide. While it’s breaking my heart to witness the diaspora of Sun talent, I take comfort in knowing that, in new companies with new projects, these folks will cause a thousand new technologies to bloom. I look forward to seeing what everyone gets up to – including those who remain at Oracle – and hope you’ll all stay in touch and keep me posted. Though a situation like Sun may be unique and unrepeatable, I expect I’ll work with you again someday. The photos are mostly mine. I chose the song primarily for its bouncy and variable tempo, so if you find yourself juxtaposed with an unflattering lyric, don’t take it personally – it wasn’t intentional. Apologies to the many who were left out – I have too much material for one three-minute song! If you’re neither in the video nor in the Missing list below, let me know in the comments and I’ll add you. (Bruno Souza) at OSCON 2009 – Brazilian government? Tim Thomas at Sun’s London office, Jan 2009 – ? Jeff Jackson celebrating Mardi Gras at Sun’s Menlo Park campus, 2009 – ? Josh Simons at SC08, Austin – ? Sunay Tripathi at the Security Summit at LISA09 – ? Luiz InÃ¡cio Lula da Silva, Rafael Vanoni, Vitorio Sassi at FISL, Porto Alegre, Brazil, 2009 – President of Brazil, ?, ? Sumit Gupta at Sun’s Broomfield campus, 2007 – ? Jeff Cheeney, Reed, ? at SNW 2008 – ? Peter Bojanic at the HPC Consortium 2008 – ? Arun Gupta, Eduardo Lima, Mauricio Leal at FISL 2009 – Oracle, ?, ? Alan DuBoff et al Go Game at the Open Solaris Developers’ Summit 2008 – ? Liane Praza, Dave Miner, Bart Smaalders, Dan Price, Dan Roberts at LISA10- Oracle, except for Dan R.
OSUG Leaders, Tim Marsland at CommunityOne 2009 – ? Kelly Nishimura & Bill Franklin at CommunityOne 2009 – ?, ? Harriet Coverston at the SAM-QFS BoF at SC09 – ? People I have actually filmed but could not lay hands on the footage, or there just wasn’t room for it (this list is destined to grow). Some of these videos are were for a time available on blogs.sun.com/video, others were lost in the move to Oracle (not by me!). A lot of the video I shot for Sun/Oracle (and more) is on my YouTube channel. …and a bunch of others at SNIA SDC 2007. And 2008. For more nostalgia, see Jim Grisanzio’s beautiful album of OpenSolaris community photos (yes, I’m in there, too). This entry was posted in portfolio and tagged Illumos, SmartOS, Sun Microsystems, video, what I do on November 29, 2010 by Deirdre Straughan. Birds of a feather session with Jim Mauro and Brendan Gregg, authors of the forthcoming DTrace book. This entry was posted in portfolio and tagged Brendan Gregg, DTrace, Illumos, Jim Mauro on November 17, 2010 by Deirdre Straughan. What’s in the DTrace Book? This entry was posted in portfolio and tagged Brendan Gregg, DTrace, Illumos, Jim Mauro on October 24, 2010 by Deirdre Straughan.